Erin brings years of national and international experience to NK Architects, enabling her to contribute a sharp, intense, and humanistic approach to design. Committed to client and user-focused solutions, she believes that integrity and creativity are fundamental to the success of Architecture. Having lived and worked for many years traveling between the US and Europe, her exposure and experience span all areas of design, from architecture to the fine arts, from industrial design to technology. This rich worldly background has provided a unique context for development and contributions, enabling her to offer imagination and vision as well as critical solutions to the design process. 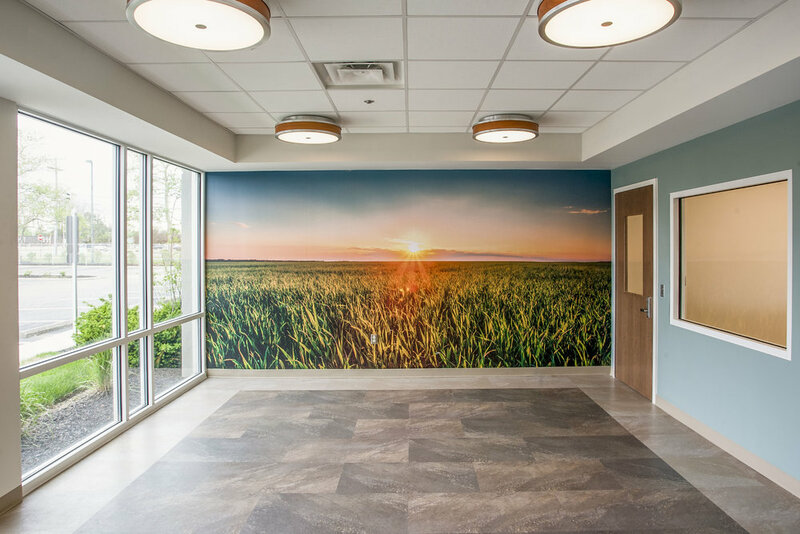 As part of NK’s Healthcare group, she has been vital in developing the focus of Behavioral Healthcare Design and for encouraging this important area of work. An advocate for human concerns in design, she serves as Vice President on the Executive Board of the Hunterdon Drug Awareness Program, is a Fellow at the Center for Urban Design and Mental Health, is Co-chair on the Department of Health & Human Services Local Advisory Committee on Drugs and Alcohol, supporting root to global solutions through design. As an Associate Member of the American Institute of Architects, Erin was acknowledged by the Charter High School of Architecture and Design for outreach to Children’s Crisis Treatment Center in Philadelphia. Erin holds a Master’s Degree in Architecture from UCLA and a Master’s in Design from Domus Academy in Milan, Italy. She has been active with major architecture and design schools, as a juror and mentor, including Sci-Arc, UCLA, Woodbury, the Art Institute, Drexel, Moore College of Art, Cornell, and others. She has taught at the Domus Academy, Milan Polytecnico, and Venice Polytecnico. Erin's work has been recognized and featured in venues throughout Italy, where she served as a Creative Director working in Milan. Her favorite thing in life is her family, and she cherishes her free time with her husband and stepdaughter, treasure hunting and exploring the world.